Hello everyone 🙂 Whoa…that was a long blogging break. I’m hoping I’ll be back to my regular posting schedule now that Fall season is upon us soon. Thanks to all of you who visited the blog while I was away. Hello to all the soon-to-be brides that stopped by and I was able to help with my DIY wedding templates. I think summer is a popular season to plan a wedding. There’s something about the beginning of September that gives my life structure. There’s something about the beginning of a new school year that makes everyone feel excited and renewed. I think I’m ready to say goodbye to summer. I’m excited for the next season to come. My farmers market was selling a big bag of zucchinis for $1 and I grabbed a bag knowing it was going to be up to me to eat most of the bag. The husband likes eating grilled zucchinis with his steak but even that didn’t put a dent on the giant bag of zucchinis. 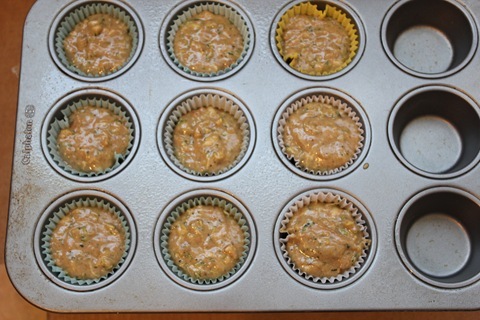 I made zucchini pasta and I used up most of my zucchini supply by making a double batch of zucchini muffins and gave the second batch away. Look at those delicious looking green flecks? 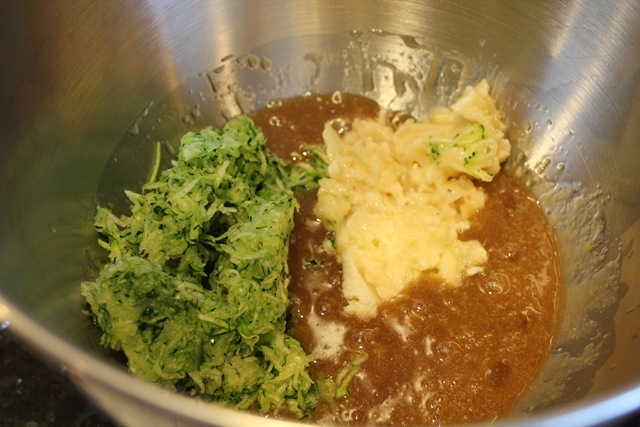 I shredded them finely so you can’t taste them at all in the muffins. 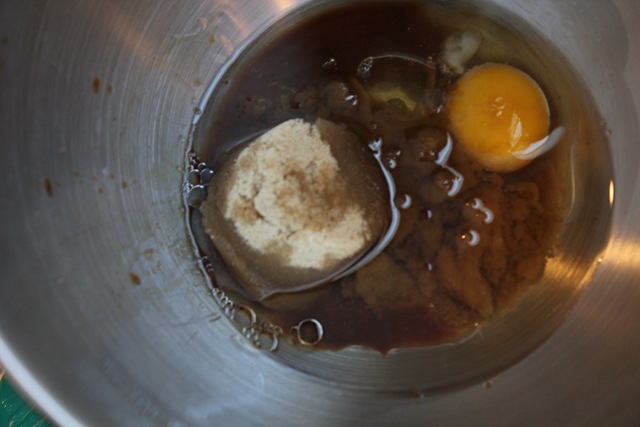 In a large bowl, whisk (or beat with electric mixer) egg, brown sugar, oil, and vanilla. 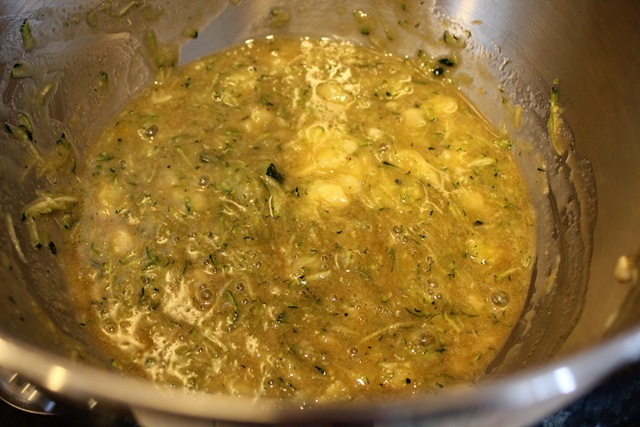 Stir in zucchini and banana. 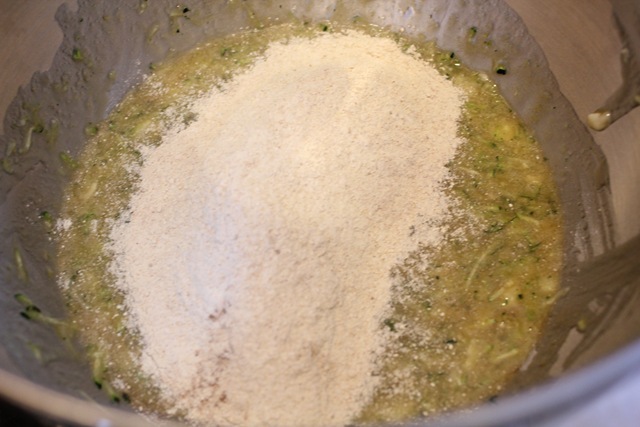 Whisk dry ingredients into wet ingredients. Do not overmix. 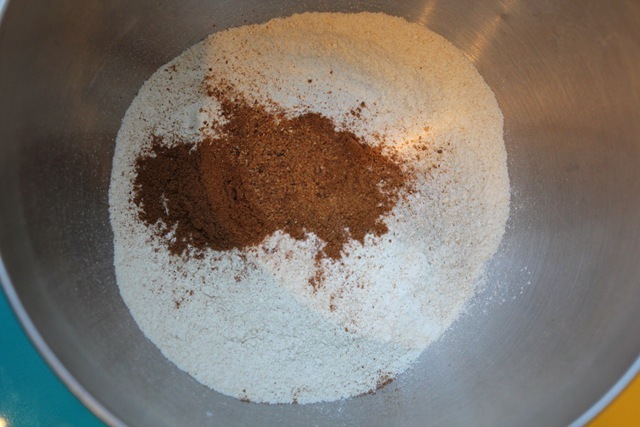 Pour batter into paper-lined muffin cups. Bake for 20 minutes. 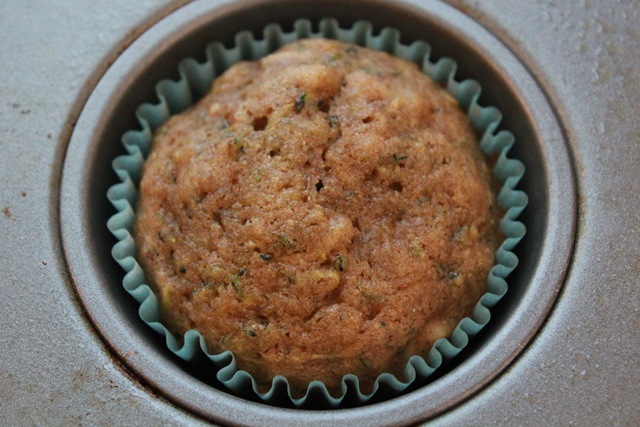 Did you bake any fruit or vegetable muffins this summer? I actually want to make zucchini bread next 🙂 I think the muffins can be frozen easier, but I think mini zucchini loafs are cute too. I missed you! Hope you’re doing well. The muffins look perfect. I made fruity muffins this summer. 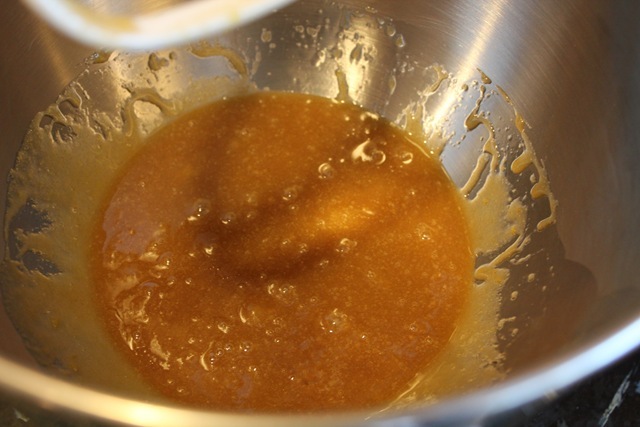 In fact, I think I need to make another batch before all the summer goodness is gone! Thanks Erica. 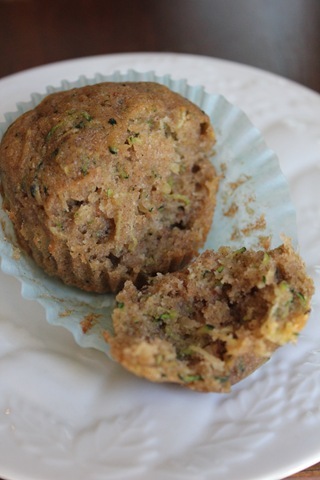 I actually bookmarked your Chobani pineapple muffins, and I bought 2 containers to bake it, but it has been so hot here lately that I ended up eating the yogurt for dessert instead of using them for muffins. Gotta grab more now. I love zucchini but haven’t baked with it yet. These look great! I’m glad you are back! I missed reading your blog 🙂 Those muffins look delicious! 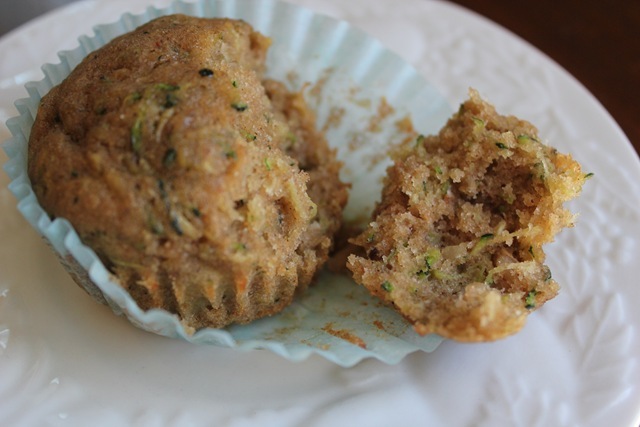 I’ve always wanted to try making zucchini muffins. I’ll have to try your recipe.